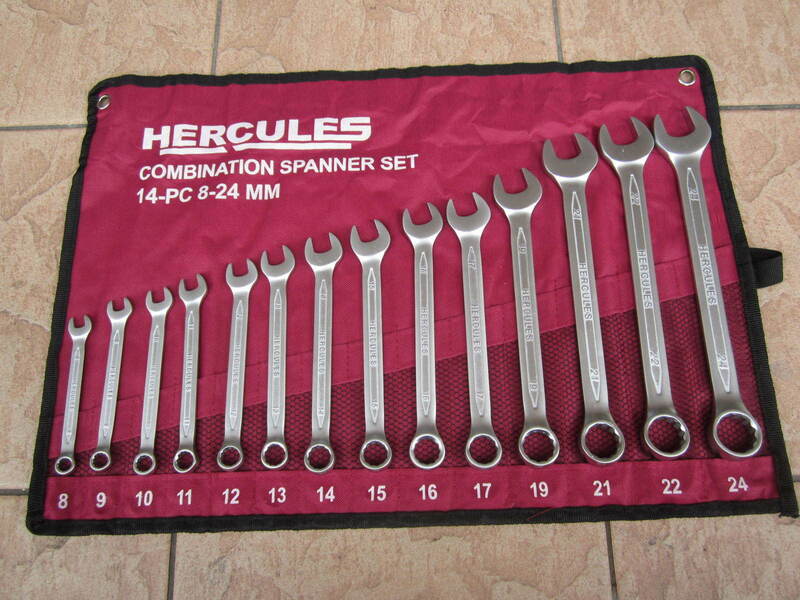 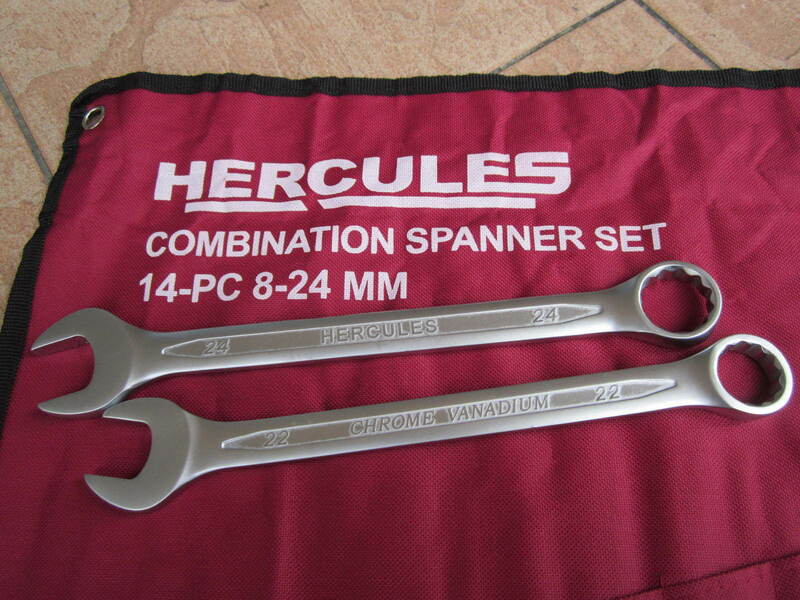 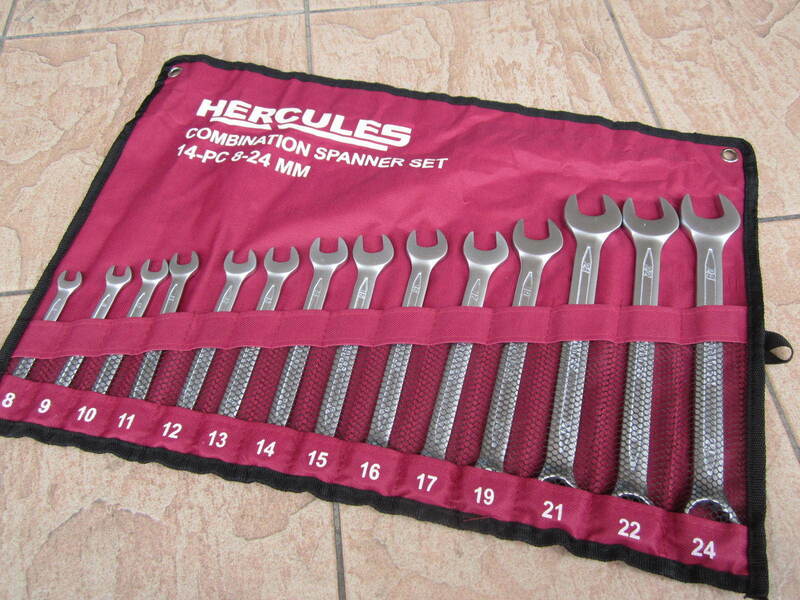 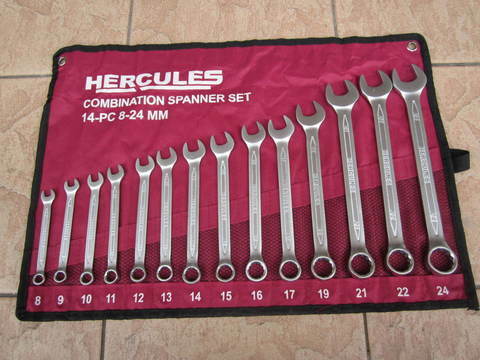 Hercules 14pcs 8-24mm Metric Combination Spanner Set.. 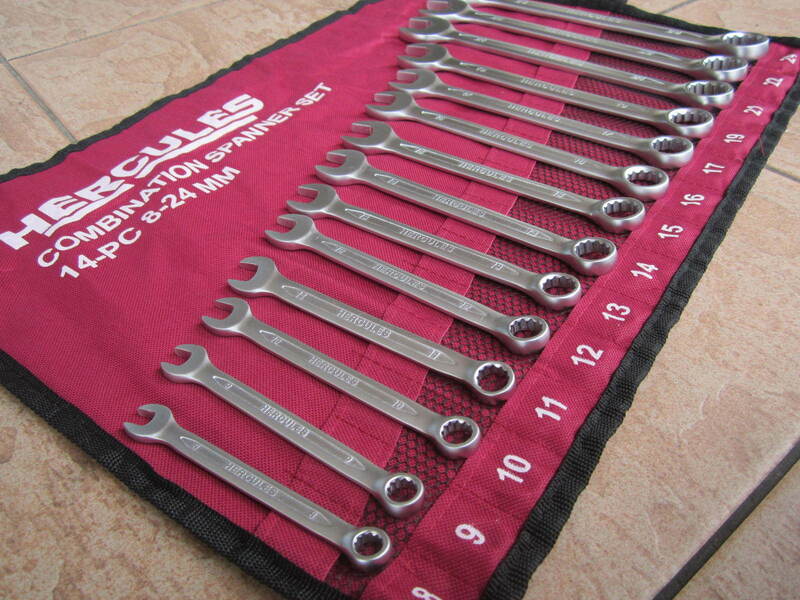 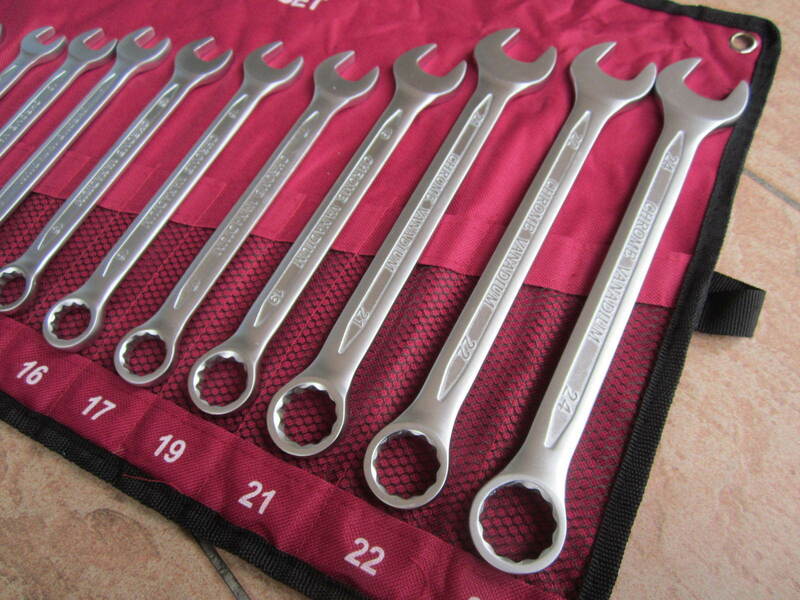 This combination wrench set comes packed with top quality drop forged alloy steel wrenches. The wrenches are constructed with a precision machined, satin polish finish for maximum durability to withstand rigorous use in any shop or garage. 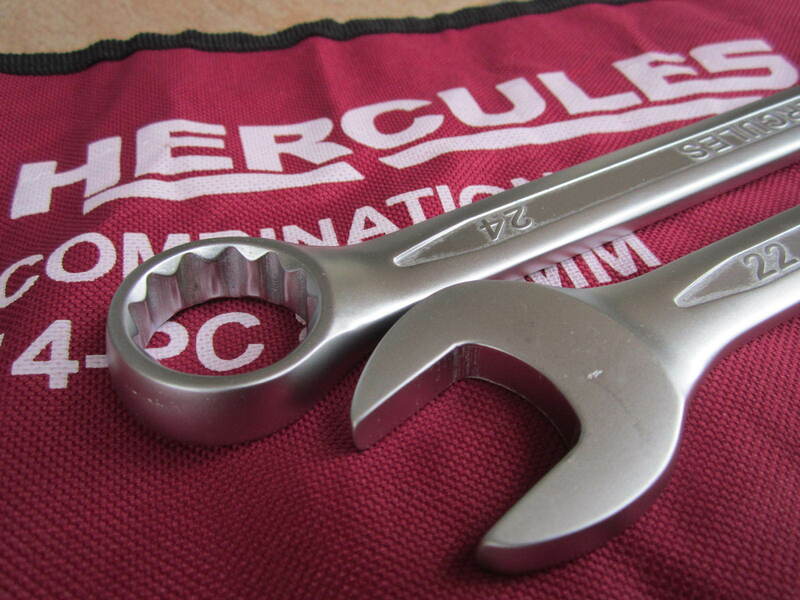 The wrenches each feature 15 degree offset ends for reaching fasteners at an angle and 12 point flank drive rings for 25% more torque. 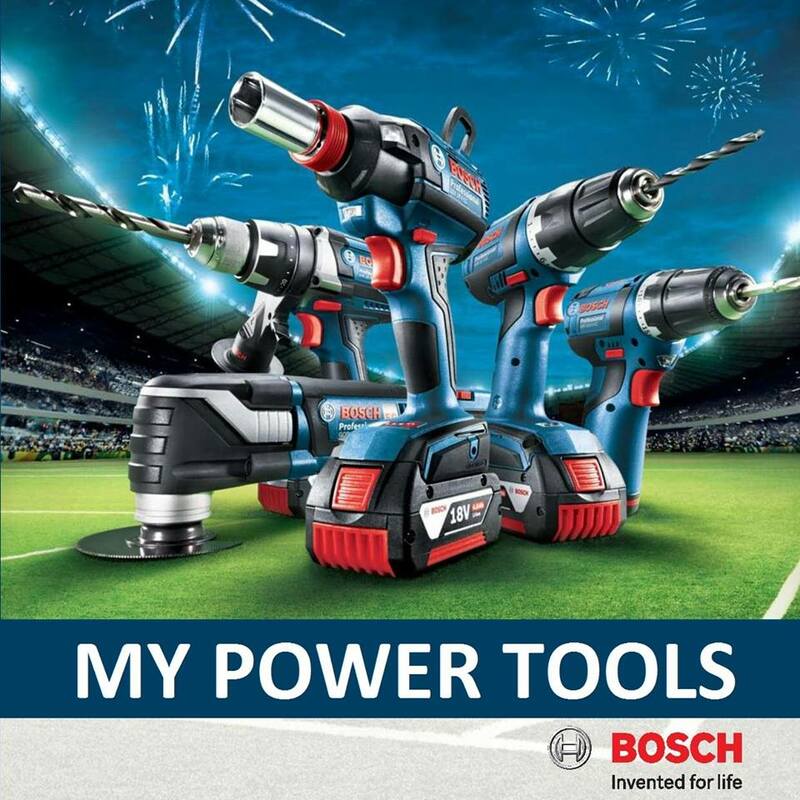 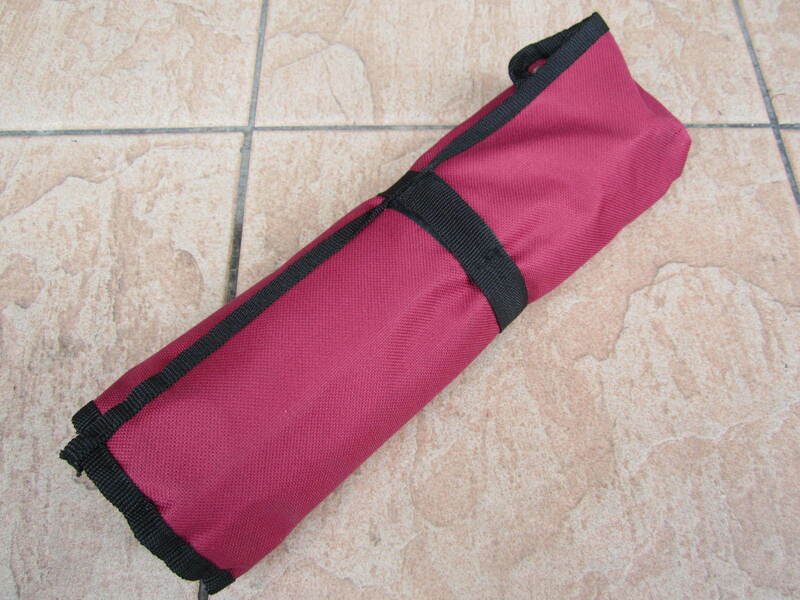 PRICE RM88.00..(Hercules complete industrial tools solution)..